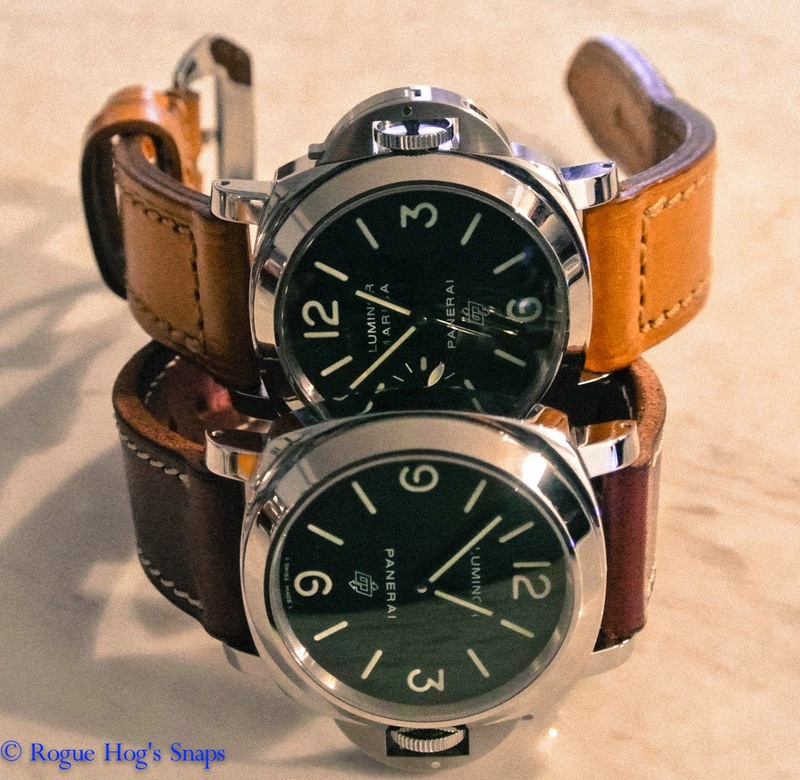 Panerai's are like potato chips - you can't stop at one (I'm sure all Ristis can attest to that). There's no way to explain why we like them and why we want more. For those of us who like PAM's, we can wax lyrical about each of our precious PAM's just as our spouses or girlfriends can rant on about the differences between a Birkin and Kelly. 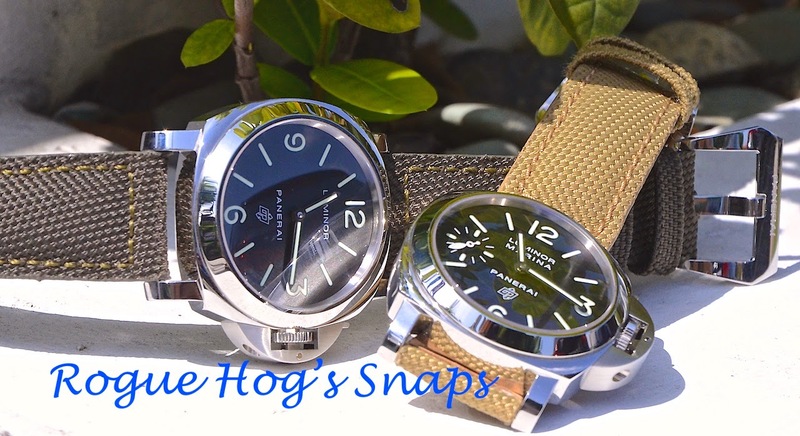 Of all the Panerai's currently in production, the Five and Zero need little introduction. Despite being the cheapest entry level offerings in the line-up, they appear to be the most sought after. The long wait-lists at boutiques and authorised dealers is a testament of their popularity. The Zero and the Five are identical in every aspect except for the absence of the seconds sub dial at 9 o'clock on the former. The latter comes standard with COSC certification while the latter, due to the absence of a second-hand is not COSC certified. 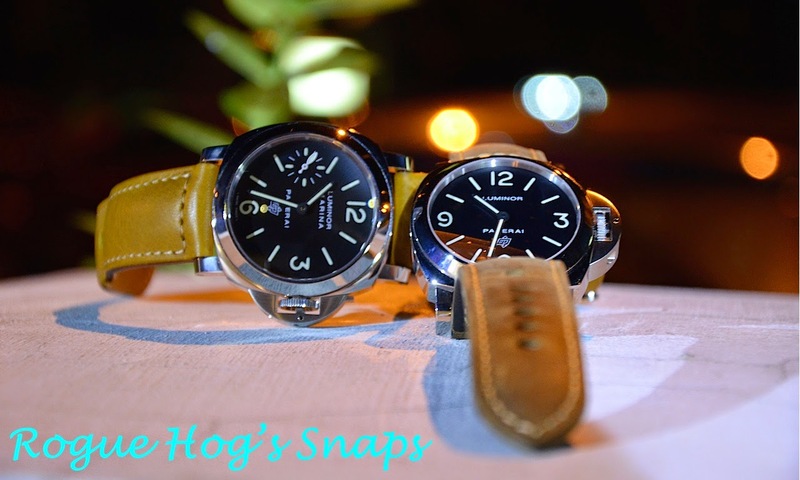 They are powered by the workhorse UNITAS 6497 movement but christened as calibre OP I and OP II respectively. Power reserve is rated at 56 hours but in reality I've clocked more than 60 hours on a full wind for each of them. There isn't much I dislike about these two, except that they are too ding-friendly. The polished cases makes the slightest scratches and dings easy to spot. 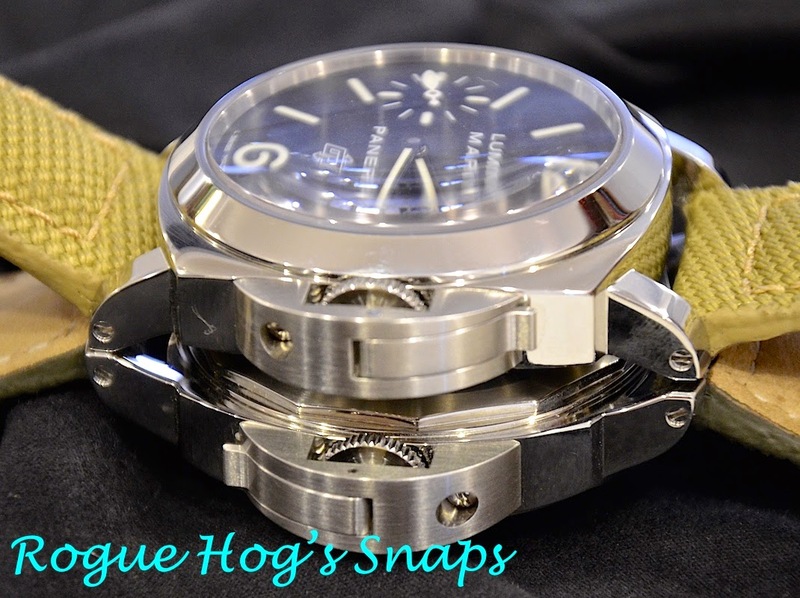 Though a military-styled watch, with the heritage to boot, it's not exactly very military in that sense. If my military training serves me well, I recall that reflective surfaces are one's enemies' best pals. No wonder the Italian's lost the war. But then again, what's a military watch if there aren't any battle scars to enhance its credibility? One thing though, one can't dispel the versatility of the Luminors. Throw almost any straps at them and they are likely to pull off a different yet pleasing look each time. Well, not exactly a 100% hit rate but somewhere in the 95% region. The familiar Bettarini case used on the the Zero and Five is similar to the one used to house the latest range of P5000 movements. However, these are slightly thicker as the movements used in these base models are thicker than the P5000. 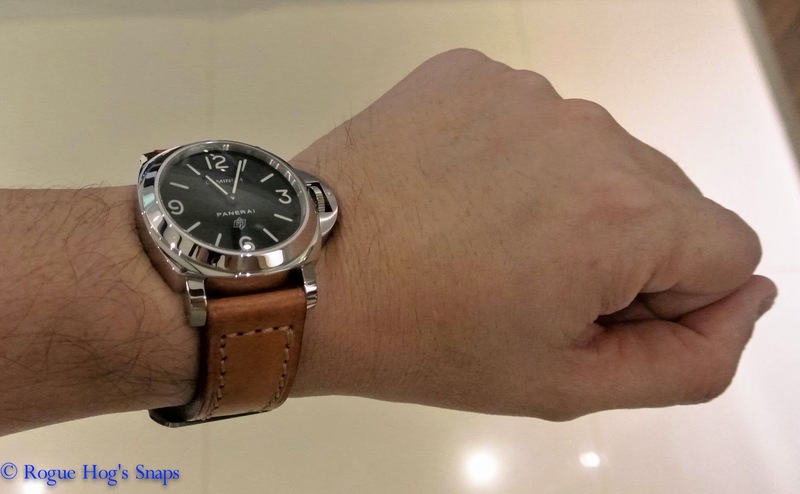 Despite its relatively large 44mm case, this range utilising the Bettarini case seems to be the PAM of choice, especially among those with smaller wrists, based on my observation. The lug design plays an integral part as they are steeply angled, thus producing minimal overhang. Unlike the 510 and 422 which were reviewed earlier, these dials have applied stick and Arabic 12, 3, 6) markers. These applied dials have a more nostalgic feel somehow. Personally, sandwich dials seem a tad more modern by comparison. The beautifully applied markers make for great masterpieces. It's no slouch compared to the stenciled neatness of their sandwiched stablemates. 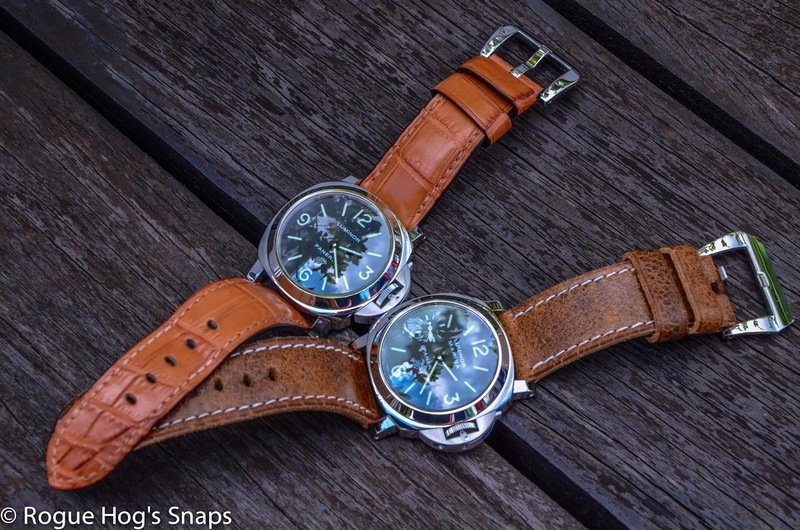 These siblings are an absolute delight on the wrist. The Zero looks slightly bigger as the dial is cleaner and less cluttered. But that's just an optical illusion. 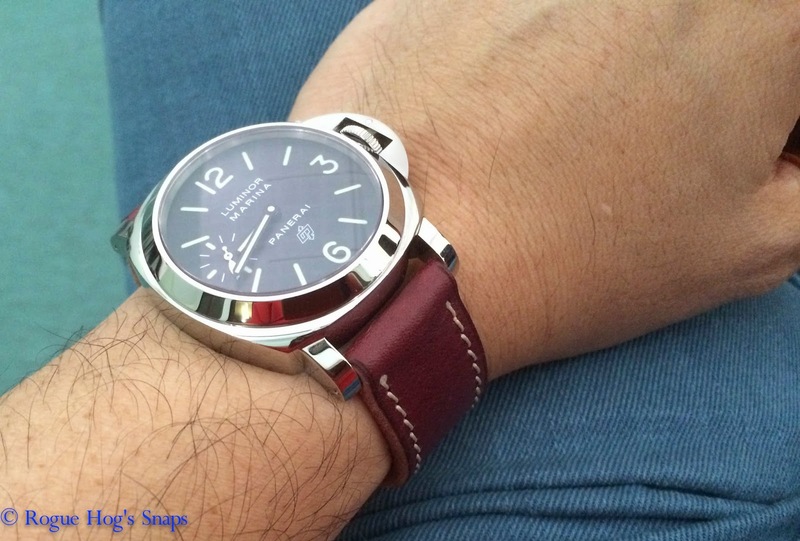 The steeply angled lugs keep the watches snug to the wrist. 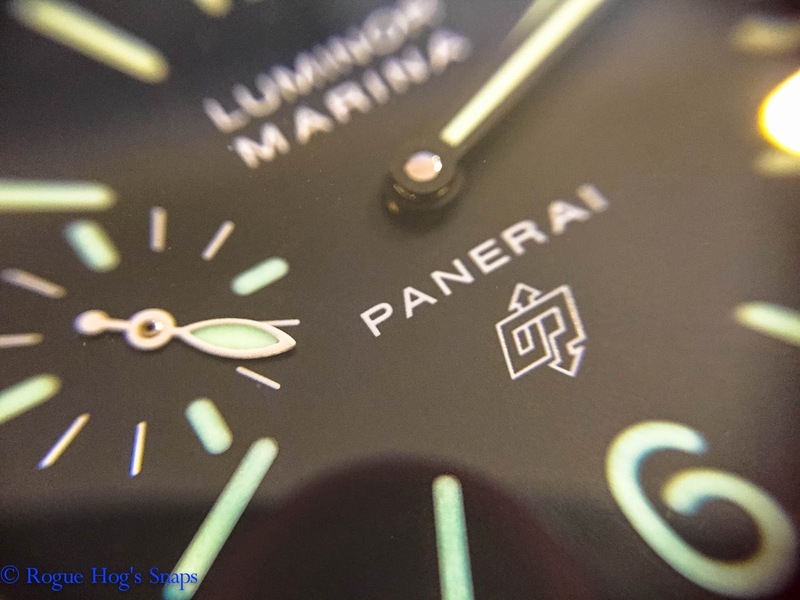 A PAM is not a PAM without that legendary lume. Yes, as always, PAM's are no slouch in the dark arena. In conclusion, it is my personal opinion that these are the quintessential PAM's. To a certain extent, these are the definitive pieces. Though unlike the 372 that has more of the original Luminor DNA, these basses utilises cases from the late pre-vendome era and are responsible for the PAM revival. Well, yes, Sly had a fair share in the campaign, but that's another story altogether. Furthermore, these are the only Luminors branded with the OP logo, too. 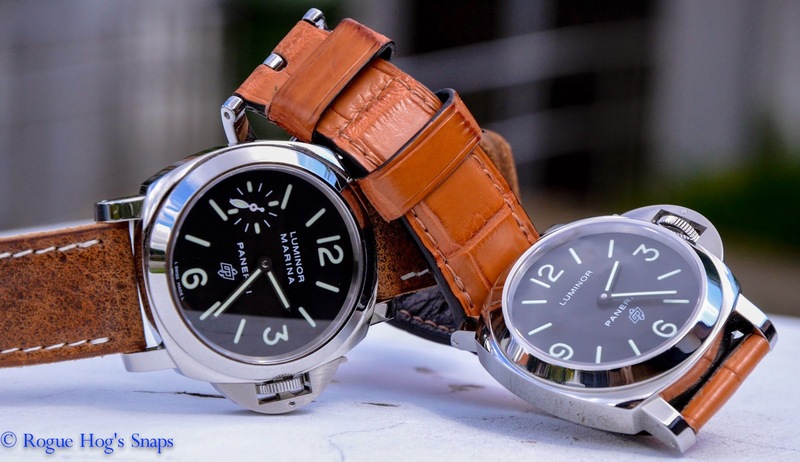 As if these are not reasons enough to join the line, there are strong rumours that Panerai is phasing out their ETA-powered base offerings with in-house alternatives. Enthusiasts, and even sales reps from boutiques and authorised dealers have openly said so. The 510, 560, 561, 563 and 564 are supposedly the 111, 112, 113, 114 and 177 replacements, respectively. Will this rumour bear fruit? Or is it just another sales pitch? Only time will tell. 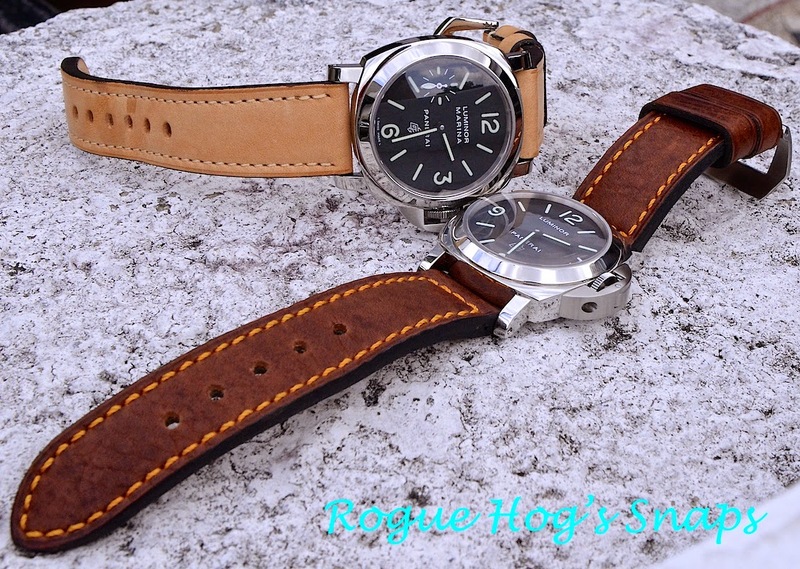 Nevertheless, there is no doubt these are simple yet beautifully made timepieces. The finishing is top notch as always. Functionally and aesthetically pleasing. Oh and most importantly, the wifey still thinks I have two PAM's! Case Material : Stainless Steel; Polished. 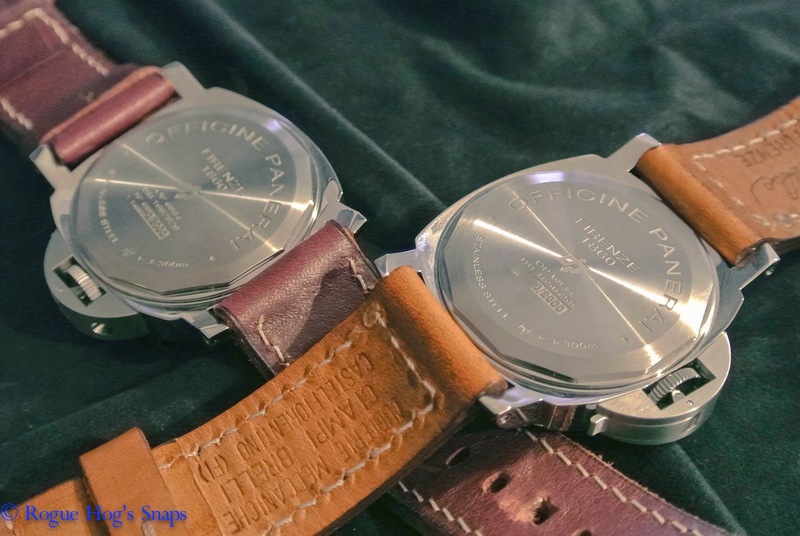 Movement : OP I (PAM 000), OP II (PAM 005); both modified ETA UNITAS 6497. OP II is COSC certified. Power Reserve : 56 Hours (Stated); 60+ Hours (Actual). 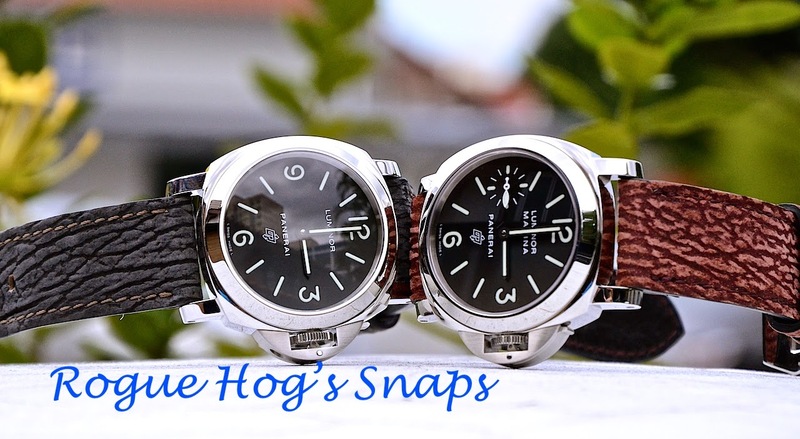 - Versatile - both on formal and casual occasions. - Functional and easy to read. - The spouses and girlfriends cant tell them apart. - Ding and scratch magnet. - Relatively short supply and slow to come by. Long wait lists. thanks. it was a poor yet trying attempt as it has been quite a long while since i reviewed. 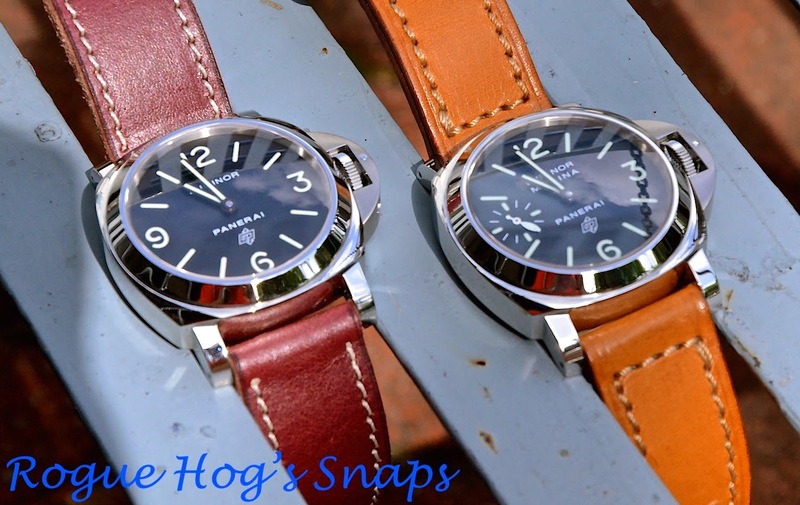 Really enjoy your review of the Pam 000 and 005. Putting the slight price difference aside, if you had to buy just one, which one would you pick and why? Another question, do you worry the device protecting the crown will over time snap less tightly since one would have to "open" the lock to wind the crown and snap it back. This regular opening and closing of the lever I wonder if it would make it loosen up over time.